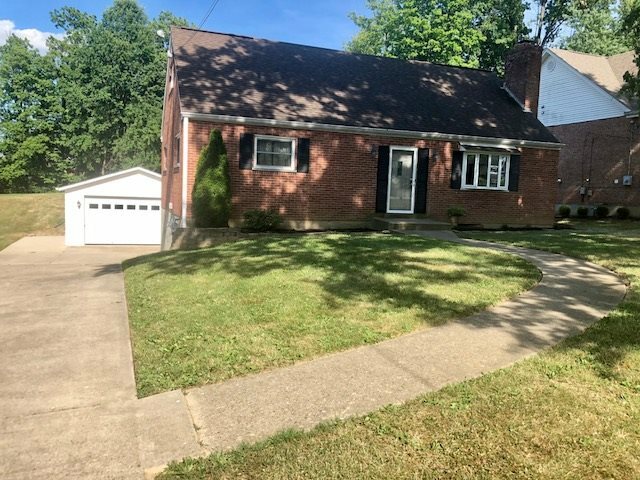 75 to Buttermilk, R on Collins, L on Ann, Right on Mary St.
Don’t let this photo fool you, this home is much bigger than it looks!Charming 4 BDRM home located on cul-de-sac street w/mature trees. Attached garage. Rear deck w/nice size yard. Main level provides formal dining and spacious living room, half finished basement w/bar and wood burning fireplace, two large upstairs BDRM w/lots of closet space, All appliances included.